We are pleased to announce the publication of detection times for five substances – butorphanol, romifidene, firocoxib, salbutamol and cetirizine. We hope this information will assist treating veterinarians who treat sports horses to calculating safe withdrawal times. The new FEI List of Detection Times can be accessed here. 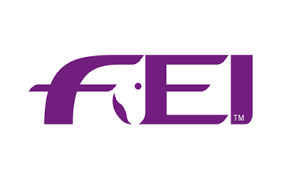 The use of nebulisers at FEI events is considered a non-oral therapy and their use must therefore be in compliance with Article 1062 of the Veterinary Regulations. A Veterinary Form B must be submitted for any substance used in a nebuliser that is not listed on the FEI Equine Prohibited Substances List. An equine influenza webinar specifically tailored for veterinarians is now available on FEI Campus. The webinar, which is presented by OIE equine influenza expert Professor Ann Cullinane and FEI Veterinary Advisor Caterina Termine, provides the most up-to-date information on the pathogenesis, clinical signs and treatment of equine influenza and the FEI Regulations regarding vaccination. In addition, it explains the OIE recommendation that equine influenza vaccines should contain both Clade 1 and Clade 2 viruses of the Florida sublineage, a recommendation the FEI fully supports. Check out the webinar today! We thank you for your continued contribution and send you our best wishes.